With the advent of the Internet, memoir writing web sites provide a whole new avenue of help to people interested in learning how to get their story down on paper. A memoir is autobiographical in nature, which means it's about you and written by you. These works tend to be shorter and more emotionally charged than if you were to write a complete autobiography. That's because instead of focusing on every fact, memoirs tend to highlight details from specific moments. It can cover a period of years or as little as a day. For example, if you were in New York on September 11, 2001, your memoir could begin that morning and end that evening. Or it could describe the journey back to wholeness in the years that followed the terrorist attacks. It depends on what story you want to tell. Writing a memoir starts with an idea. Something unique or interesting that you've experienced, survived, or endured. Take this idea and start to jot down everything you remember about it, and then spend time talking with others who also experienced, or were close to the situation. What they have to say may help flush out details you weren't aware of or may have forgotten. Spend time writing regularly until you finish the first draft. Don't allow large gaps of time to interrupt your work, because it can disrupt continuity and you'll have to take the time to re-read what you have just to refresh your memory. The writing approach you follow to accomplish this will depend on your personal preference. For example, if you are a morning person, plan to write in the morning while your mind is fresh. If you have trouble getting your first draft down on paper, visit memoir writing web sites to see what they recommend, or take a class on memoir writing. 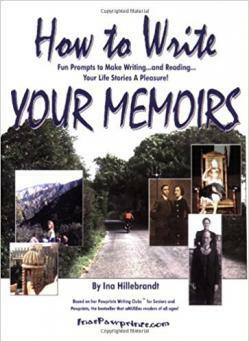 For example, Writer's Village University offers an eight-week course called: Writing the Memoir. Completing the assignments for a class like this will have you well on your way to writing your own memoir. Once you have your first draft done, it's a good idea to let it set for about a week. This way when you take it out to start revisions, you'll be reading over it with fresh eyes. Otherwise you can be so familiar with what you've written that you'll skip over things like awkward sentence structure, redundant words, typos, and more. Read it aloud. This tactic makes it abundantly clear when your writing bogs down or doesn't make sense. This is also a great way to catch typos. Find a critique buddy. This can be through a local writers' guild or an online writing group, but if you choose to take an online approach, be careful. If your writing is out there on memoir writing web sites, or even part of an online class, make sure it is password protected. This means only those who are "members" have access to your work, and it is not considered published. On the other hand, if you belong to an online group that posts to a forum that anyone can visit, a publisher will consider your work previously published. Once you get feedback from others, take the time to refine your work. This is a process that takes time, but it is the mark of a professional. You want your work to be the best it can be. During this stage, start to investigate the publication route you plan to take. No matter who you are or what you've done, you have a story to tell. If you've got the desire to put it down on paper to share with others, the best approach is to get started. It's easy to push it aside because you don't have time. But think about it. Each day you put it off, you risk the chance that your story will never be told. Take the time to write. Your story is worth it.